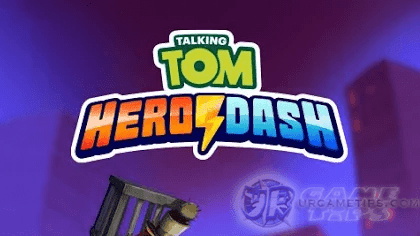 Here's some quick tips and guide for the endless runner mobile game Talking Tom Hero Dash. Refer below to learn how to get Coins, Gems, Credits, and more. 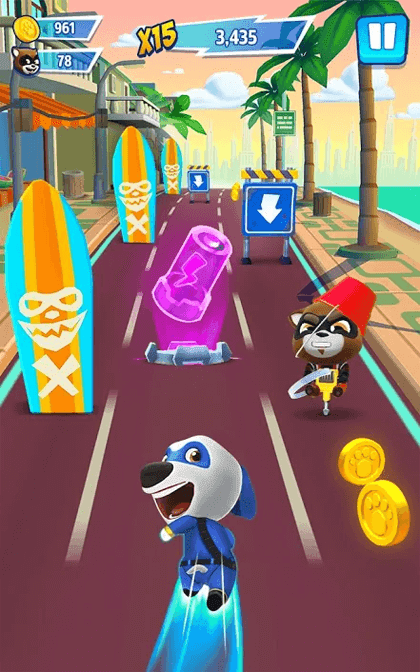 Unlock new characters and their outfits by fixing up the worlds from enemy raccoons. Run and earn Multipliers to increase your High Scores too! If you love playing Talking Tom Gold Run, you're going to want Talking Tom Hero Dash in your endless runner mobile game collections too! It’s a cool, easy to play game suitable for all gamers! - Basic controls for moving around. - Swipe Left or Right while in midair to switch lanes. - Perform an AoE attack that can hit multiple targets in front, including nearby enemies. It can also be used to grab nearby items like "Coin Pots" on the ground. - Use this technique if you want to immediately land your hero to the ground from midair. - Watch a video ad to continue running (recommended). This is really good especially when you want to farm fast Coins. - Coin Magnet: Auto grabs all coins except for Coin Pots (lasts for 10 seconds). - x2 Coins: Doubles all nearby Coins (lasts for 10 seconds). - Shield: Saves you from harm (lasts for 10 seconds). Can also be used to clear enemies and obstacles by bumping into obstacles. - Booster Batteries: Use character's skill to destroy all obstacles and enemies, also grabs all items along the way. - Consumable items that can be activated during the first few seconds of your run. - Multiplier Booster: Start with +10 bonus Multiplier, good if you want to aim for higher Scores. - Speed Booster: Skips and advances the game to a faster pace (Scores will auto adjust too). This is good if you want to blitz through and skip the slow pace start, but Speed Booster won't auto collect Coins though. - Boosters can be obtained from Special Events as rewards, Chests, and from the Spinning Roulette. - Once you unlock the 2nd World, Portals will start to appear randomly while running. - TIP: Entering Portals would give you some free space to run. Select Worlds that you are comfortable with, also nice if you are aiming for high Scores! - Sometimes it's the only way to clear obstacles. - You can also use or spam "Jump > Down" to perform an AoE attack and hit them faster from a distance. - Rewards: Coins, Gems, Credits, and Boosters. - If you are patient enough, you can actually earn a good amount of Gems and Credits here. - JACKPOT!? It's super rare to hit though. - Use Coins and Gems to clear out enemies and save the city, also to increase your Score Multipliers. - Sometimes, the game would also let you watch a video ad as alternative to Coins. - Can be easily obtained from runs, focus on farming coins to make things faster. Collect Coin Magnets and x2 Coins Power-ups to help you out. - Complete Special Events from the Main screen (unlocks after saving Angela and unlocking the 2nd World). These are limited events, so try to complete them before the time expires. - Can also be obtained from the Spinning Roulette by watching video ads, or from Chests. - TIP: If the remaining locations only requires Gems to clear, still continue earning Coins from Runs to make things easier for the next World. - TIP: You can also convert your Coins into Gems using the limited time "Currency Exchange" special event. - Raccoons are destroying and polluting the world and it’s up to you to drive them away so that you can rebuild and clean up. - Once each location is fixed up, it’s time to face the Raccoon Boss. Defeat him and it’s on to the next running world! How To Get Character Outfits? - Obtain and complete all Outfit Pieces to unlock a new outfit, get them by opening Chests (chances varies per Chest, refer below for more info). - New outfits will give you bonus Multipliers (permanently, even if you switch with other characters). - In Talking Tom Hero Dash you can get Regular, Super and Ultra Chests. - To get a Regular Chest you have to watch a video ad. After that, it will be 3 hours before another Regular Chest is available, and you can then watch another video ad to get it. - You can collect Super Chests while running and can either wait for them to open, or else instantly open them using Credits (or by watching ads if available). - You can also buy additional Super Chests with coins. - You can only buy Ultra Chests with Credits. - TIP: If you wan to use Credits to buy Chests, the best time is during a "Double Rewards Special Event". - Chests can contain five types of reward: Coins, Gems, Credits, Outfit Pieces and Boosters. - Out of the five possible types of reward, you receive three in Regular Chests, three in Super Chests and five in Ultra Chests. - For example, in a Regular Chest you can either receive Coins and Boosters, or Gems and Credits, or Outfit Pieces and Coins, etc. How To Play On PC or Laptop? - Download and Install Bluestacks (Android Emulator) to your PC or Laptop. - Note: If the game is laggy, go to the settings menu of Bluestacks and try to switch to a lower Resolution and DPI, Select Graphics Mode (check/uncheck if needed), or Allocate more CPU and RAM. - Select the "Keyboard and Mouse" icon located at the lower right area of the window, then drag and drop "Swipe" to let you set the keys you want. - TIP: For double left or right movements, sometimes the keyboard alone won't work well, so use your mouse to do another swipe left or right. - The "Space" button above is optional, it's for Boss fights. - *If you want to reduce the visibility of the keys in your screen, select the "Eye" icon next to the "Keyboard and Mouse" icon. 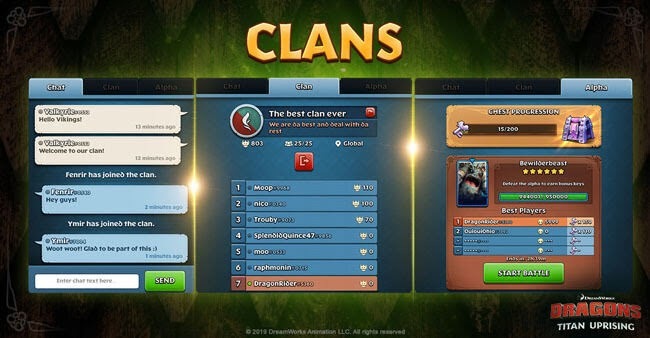 - To continue your game progress using Bluestacks, make sure to connect your game first to your Google Play account for example, via the Settings Menu in-game. 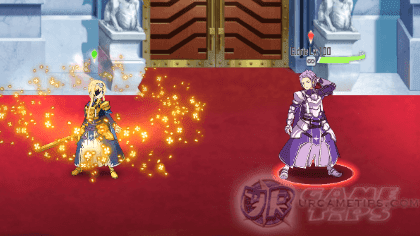 SS3 Add-on Skills are new skills for certain and upcoming characters in the mobile game Sword Art Online Memory Defrag. To learn more on how this new skill works, refer below. After using SS3, some characters can activate a new additional chasing attack or a skill effect, which can help boost a character's damage, combo hits, stats, and more. These skills can be good depending on how they are used. - You can charge up by holding the SS3 icon. - There are three levels of charging, charging stops when it reached the highest level. - Charging resets once it's interrupted by other skills. - If you don't have enough MP, the level stops rising. - You can't charge up for a sword skill at character switching. - Required MP gets higher but using SS3s with a higher level inflicts higher damage! - You can fire SS3 (the level depends on how long you hold) by releasing it. - MP Increase Per Level: 100 > 110 > 115 > 120. What If a Unit Can Only Do x4 SS3s (100 MP) and the Rest Only 3x? - If 2nd and 3rd Levels can only be used 3 times, better use 100 MP SS3s 4 times or 120 MP 3 times instead. - Using x4 100 MP SS3s gives higher Combos as well, thus more damage for the whole team. - Can't be used while switching though... only good for combo starters..
- Note: During fast combination attacks, it might not be possible to use all 3 120MP SS3s.... unless you can switch without attacking which is not ideal. - Overall, this skill is best for PvE. - We will only add new Skills introduced from 2019 onwards, that requires some quick in-depth analysis to determine how it works. - These skills are SS3 add-ons that affects the performance of the characters. - Please note that the numbers used above are just estimates, and are not 100% accurate. Tracking Circular is a new skill for certain and upcoming characters in the mobile game Sword Art Online Memory Defrag. To learn more on how this new skill works, refer below. After using SS3, some characters can activate a new additional chasing attack or skill effect, "Tracking Circular", which locks on an enemy for a certain period of time, performing extra attacks! - With this skill, you can perform more combos in a short time. - Do more combos and give a powerful blow! - Can be used to continue combos even while fighting unpariable attacks! - After using a SS3, the Tracking Circular skill will stay around your character until it transfers to the nearest target. - Max is 27 Hits including the character's SS3. - The Tracking Circular will never disappear and will auto target an enemy after 10 seconds of no contact. In addition, it would still inflict a number of Hits (27 Hits - Character's SS3 Number of Hits = TC Ring's Hits). - Be careful though, because if you get hit by an enemy RANGED attack before it transfers, the TC Ring will disappear! - Even when another player activates a Tracking Circular, your skill still remains active. - So during multi-player modes, combos can go up even more! Can I Activate More Than 1 TC Ring? - When Tracking Circular is activated after another within the same team, only the new one will remain active. What Happens When You Spam SS3s? - The TC Ring will instantly cancel out at the beginning of the SS3 then re-activates after the last SS3. - In other words, spamming SS3s would not bring out the full potential of TC Rings, because it could disappear even before it reaches the target. - I think the best ones are those characters that will end their SS3 animation near the enemy because their TC Rings would hit the target right away... unless Bamco would not allow this. What Would Happen If I Use it in Combination Attacks? - The TC Ring would auto target itself to an enemy during and after the combination attack. - So to maximize this effect, it is best to use characters with TC skill as a starter for combination attacks to let the TC Ring sink and land some hits first. - I think this skill would open up more interesting combinations attacks and combo build ups! Plan your Team builds and attack patterns! - Note: Switching too fast back to a unit with a TC skill would also cut short the existing TC Ring animation, meaning less hits will land. - Depending on your team, experiment and try to maximize the potential. Example: Use only 1 character with a TC skill first. What Would Happen If I Would Do a Normal Switch? - After using a SS3 and activating a TC Ring, you can switch to any normal unit or someone that doesn't have enough MP to let your TC Ring auto target the enemy. My TC Ring Won't Auto Target, Why? - By default, the TC Ring would just stay around your character until it touches an enemy or if you switch to another character to let it auto target. - This is also a problem if the SS3 animation of a character would end far from the enemy, the TC skill can't connect right away and you need to do some remedies. - Simply run towards the enemy. - If possible, use them as a starter when doing combination attacks. - Do normal switch to auto target the TC skill. - Still works though if the enemy is near the sides of the screen, and your character's SS3 ends up near the target. - Do another SS3 then switch to another character (it would cancel out the first TC though). - 1 unit with a TC skill (Alice). - 1 normal unit (Kirito). 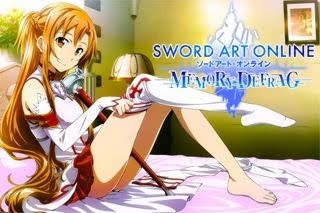 - and 1 unit that can SS3 upon switch (Asuna). - Note that the names used above are just examples. - #1) Alice uses SS3 Combo with Kirito (TC Ring auto targets). - #2) Kirito uses SS3 again Combo with Alice > Asuna uses SS3 (TC Ring auto targets) Combo with Kirito. - #3) Kirito uses SS3 again Combo with Alice > Asuna uses SS3 (TC auto targets). - #4A) Asuna uses SS3 x2 > Combo with Alice > Run towards enemy/do normal switch to auto target TC Ring. - #4B) Asuna uses SS3 again Combo with Alice > Asuna uses SS3 (TC auto targets). - As you can see here, I made sure that the TC Ring will auto target the enemy and land some hits before the next TC Ring. Result: Potential Around 200 Hits Landed! - So, 52+56+44 = 152. - (200-152) = 48 Hits from TC Ring! that's like having another unit in your team! - Note: Was also able to land 4 TC Rings, so: 4*14Hits (Alice's max TC hits possible) = 56. - (56-48 = 8 Hits did not connect). - TC Rings can't reach max hits because of the fast SS3 spams, it cancels out...once Alice uses another SS3. - TIP: The higher the number of hits of your TC unit's SS3 = the better. Here's some beginner's tips and guide on how to Rebirth and use Soul Stones, how to enhance, upgrade, or evolve equipments, and some tips for exploring the dungeons. Miracle Pororo is a side-scrolling type RPG that includes various missions and battles, character growth, game user community, and equipment enhancement, all of which can be enjoyed by all ages! - Login Everyday and claim your Attendance Rewards (check under Settings menu). - Check Your Mailbox for limited time freebies or compensations. - View Ads: Go to Shop and view some ads to get free P-Coins and Gold. - Click/tap the floating blue alien ship to view an ad and claim freebies. - Usually appears every after 20 stages from first appearance. - Complete all of them to receive a handful of rewards. - Events varies depending on the featured event for the week. - For F2P/Casual Cash Players: Just complete what you can. - For Cash Players: Complete to get lots of freebies! - Keep using free Summons, or buy them from the SHOP to fill up the gauge faster. - Claim your free 5 Star equipment once the gauge is full. - Your main quest is to unlock and free all Pororo's friends, and with their help, reach the highest stage that you can, defeat all dungeon events, boss raids, and more to make your party stronger! - Collect stronger items, enhance and evolve them as you progress though the game to increase Pororo's overall stats. - Join the rankings and try to rank as high as you can! - You can do Rebirths from Stage 51. - You can use Rebirth without using P-Coins, good during early game since Soul Stones per Rebirth is still somewhat low. - If possible during mid~late game, use Rebirth if you have at least 200 P-Coins to get more Soul Stones per Rebirth. - One way to determine when to do Rebirth is once you find your game progress starts to go a bit slow. Ready up your Rebirth option screen, then reach the highest stage that you can. - TIP: Use Pororo's friends to help you reach higher Stages, then Rebirth when Pororo is about to die. - Rebirth at least once a per day to complete Daily Quests. - The amount of Soul Stones that you can get depends on the Stage that you are currently in (the higher the better). - Upgrading with Soul Stones: Evenly upgrade them all based on cost, or to make things simple, just go for the cheapest ones first. Bonuses are based on percentages so the higher they are, the better. What's Gonna Happen After Rebirth? - After Rebirth, you'll start again from Stage 1. - Gold and Equipment Mastery (equipment upgrades made using Gold) will also reset. So go ahead and use up all of your Gold for upgrading your Equipments. - Use Gold to upgrade your equipments (resets after rebirths though but it's ok). - Prioritize equipments with high stats (number of Stars) because Gold upgrades are percentage based, the higher the base stat is, the higher the bonus stats that you can get, maximizing your Gold per upgrade. - Use the "+10 Level Up" option for a chance to get a +10% Bonus while upgrading. - Choose an Equipment that you have equipped then select the Enhance option to add +1. - Would recommend to Enhance 5+ Stars Equipments, if possible with desired special and set effects. - To activate those Enhancement Effects of your equipment, you need to reach the required number of Enhancements first. 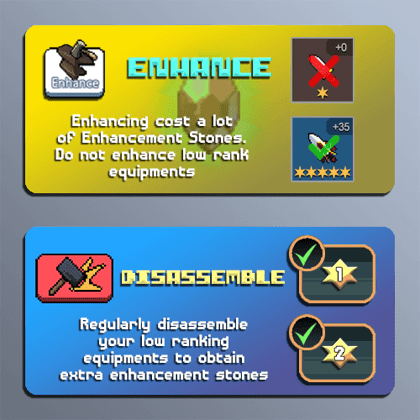 - Disassemble all 1~2 Stars Equipments from your Inventory to collect Enhancement Stones. Use the "Disassemble All" icon to make things faster. - You can also get them from Dungeon Events. - You can only evolve 3 Stars or higher Equipments. - You'll need 1 Duplicate gear and 3 same type gears with the same number of Stars to Evolve. - Normal Evolution: Evolve and consume all materials. - Evolution Tickets: Use to Evolve without materials consumed. Best for evolving 5 Stars to 6 Stars to keep all 5 Star Equipments for example. - TIP: Most players would go for Weapons first to at least 6-Stars. - Increases certain stats like ATK, DEF, Critical Hit Rate and more. - Increases Pororo's friends passive and/or active skill effects. - This is really good if you are aiming for a certain character, even better if you can also upgrade them under the "Party" section for more increased potential. - Mostly found from 5-Stars and above equipments. - Collect at least 2 Sets to activate the first effect. - Enhance your equipment until the require number of enhancements is met, to activate the effect. - Best done once you reach the highest stage that you can, with all Gold upgrades used. This way, you'll be able to maximize your party's overall strength and efficiently. - TIP: In other words, it's best NOT to enter right after your Rebirth since your stats are low. - Mine as many Enhancement Stones as you can before the cavern collapses! - Challenge Boss Dragons to receive rewards at the end of the event. - At least Use Free Tries per Day (winning a battle doesn't consume free tries). 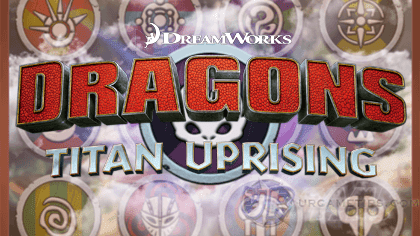 - Rewards: Hearts for the Dragon Treasure Shop, and Enhancement Stones, and more. - Defeat all monsters. All stats, and skill cool-downs caries over to the next floor. - Rewards: Equipment Fragments (earn to Summon 5 Star Equipments via the Fragment section), Evolution Tickets, and more. 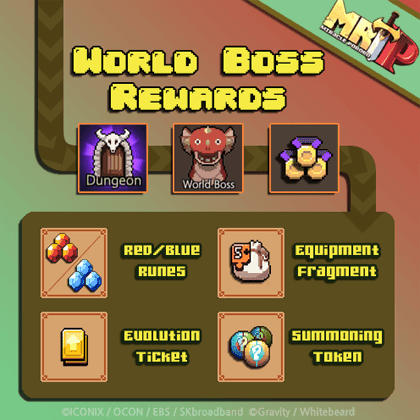 - Participating in the Word Boss Raid rewards Medals, P-Coins and Evolution Tckets! Rewards are given at 15:00 GMT+8 every Monday. - Use the Medals in the Medal Shop to purchase equipment tokens, runes or equipment fragments! I Want To Play This Game Using PC or Laptop, How? 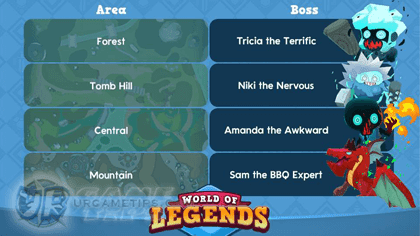 Here's a quick guide about World Bosses in the MMORPG mobile game World of Legends. Refer below to learn their spawn times, basic info, drops, and other helpful info. 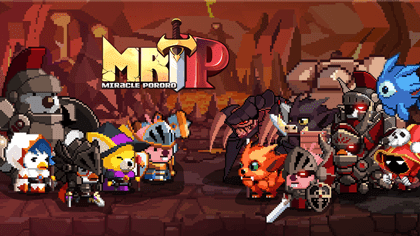 Join thousands of players across the globe and try to defeat all World Bosses in the game! If you need help with team builds and strategies on how to deal huge damages, refer to the World of Legends Guides List. - Refer above for spawn times: Credits to World of Legends Facebook Page for the info-graphic. - Each map or zone has a unique World Boss. - World Bosses spawns up to 6 times daily (every 4 hours). They will randomly appear around the map but limited to their usual 3 or 4 spots (you'll memorize them quite easily as you keep joining raids). - Note: You can also use the Chat in-game to ask other players for the location of the World Boss. - TIP: For active parties or guilds, the fastest way to scout for the World Boss is to set players to those common spots (make sure that you are "friends" with each other), then use the Teleport feature under the Friends section to quickly go to the player where the Boss spawned. - World Bosses last for 45 minutes before they escape. 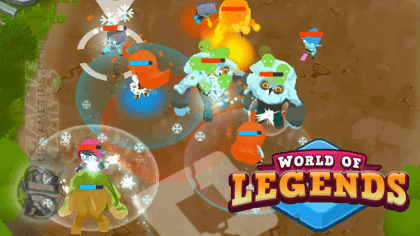 - If the World Boss is defeated, everyone who dealt damage will receive rewards. The more damage you deal, the better your rewards! 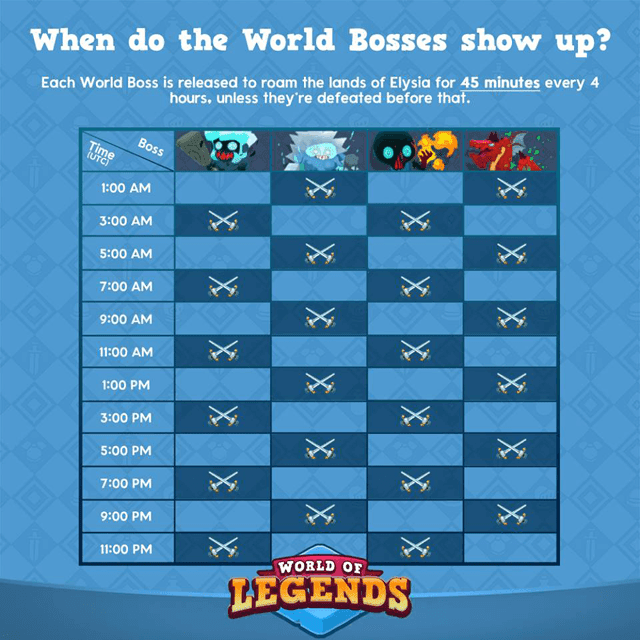 - For rewards list, check the ( i ) near the Boss portrait under the World Boss icon during World Boss events. - Note: Your rewards can be found under the World Boss icon > Results Tab (wait for it). - EXP, Elixir, Gems (consumable items used to buy items from the Shop), and Scraps. - This is actually one of the best ways to get fast EXP and Scraps. - Each World Boss has their own unique set of boss loot. - These unique Legendary items (usually weapons) can be obtained from ANY reward tier chests but your chances increases as you get higher tier chests. How To Know If We Can Beat the Boss or Not? - If the Boss' HP is below 85%~75% in the first 10 minutes, it's a good start, especially for easier World Bosses because they are the ones that are targeted first by most players. - Progress should go faster as more players pours in to get rewards, unless there are less players than usual. - For harder Bosses, around 50%~60% health after 20 Minutes is a good sign too. The first few minutes might be sloppy because other players are still busy with easier Bosses. - Around 25% with 15 minutes left, is very doable, because at this point, all players will come and help to get their share of the rewards. When Is The Best Time To Do Raids? - Easier Bosses can be defeated most of the time but for harder World Bosses, you might want to check during weekends (more players). 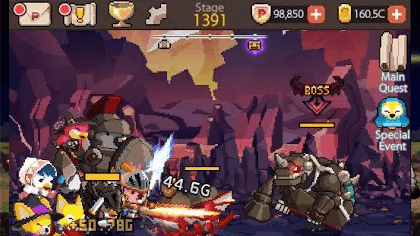 Here's a quick info on how to obtain Gems like Mirror Image Gem, Attack Speed Gem, Area Damage Gem, Range Increase Gem, and Roam Speed Gem in the MMORPG mobile game World of Legends. Learn how these Gems work and use them to your advantage, but be careful though because some of them comes with great penalties to some of your Hero's stats. What Are Gems and How To Get Them? - Gems are Legendary Type items that can be obtained randomly from any Chests in the game except Rune Chests from the Shop. - Gems's stats are always the same regardless of it's Lvl. - Gems can't be upgraded at the moment. - Hero moves faster in battle and attack faster. - Simply the most popular Gem used for World Boss raids. - No penalties too, so it's really one of the must get Gems for all players. - Hero attacks deal area damage to nearby enemies, but attack speed is reduced. - Can be used for certain scenarios like clearing mobs, normal attacks turns to "splash" attacks, and if I'm not mistaken, certain weapon Traits can be activated multiple times too when attacking using this Gem (needs confirmations). - Clones Hero in combat, but attack speed is reduced. - Your Hero is the best tank unit in the game, and now with this Gem, you can get 1 more! - Pretty OP in my opinion because double image means double HP, and more HP means more time to cast lots of Spells during battle. - Hero's attacks range is increased, but speed and damage are reduced. - Gives first strike advantage? Spear weapons have +1 Range so that would give Spear wielders +2.5 Range with this Gem! - This is going to be an interesting Gem if you can hit max Attack Speed without using the Attack Speed Gem. - Hero can move faster when roaming around in the world. - Just to be clear, Roam Speed only applies when you are moving around the maps in the world, while Move Speed applies while in battle. - Maybe usable for searching World Boss locations, collecting collectibles, and for grinding. - Like I said above, Gems are Legendary Type items that can be obtained randomly from any Chests in the game except Rune Chests from the Shop. - Here's some ways on how to get them with higher chance. - Hunt Tricia (Forest map) or Niki (Tomb Hill map) and grab T4 Chests (Top 10%) for a chance of a 100% Legendary drop (1 random gear item). - Hunt Amanda (Central map) or Sam (Mountains map) and grab T3 Chests (Top 25%) for a chance of a 100% Legendary drop (1 random item). - Their T4 Chests (Top 10%) drops 100% 1 random Legendary item and 1 Legendary gear item. - NOTE: Even if you can only get the lower Tiers of Chests, you can still get a chance to get Gems. - *This is where I got most of my Gems, takes a while but keep going. - The best thing about this method is that you have a chance to grab them every few hours (repeatable event within the day). - Recommended for casual players or cash users who wants to spend some real cash and support the game as well. - Players prefer the Gear Chest because of it's higher chance to draw Gems (NOT guaranteed drops, still random). - Iron Chests that can be bought with Coins also drops them but chances are lower. - Join an active Guild and complete your Guild Quests during weekends to contribute points. Aim for T6 or T7 Guild Chest before the end of the event to get a higher chance of getting Legendary Gems! - The idea here is to play a number of guest accounts, then open all chests that you can until you think there are no more easy chests to open. Repeat until you are able to get the Gem you like at the very beginning of the game. - This is very luck based, but up to if you want to do it. - This is also one of the reasons why some low Lvl players in the game, already have 2 Heroes (Mirror Image Gem). - Go to Settings > Apps > World of Legends > Navigate and look for the "Clear Data" option. - Note: During the tutorial, once the game asks your permission to connect to your Google Account, select "Deny". Next, it would ask you to choose an account to use, but just click/tap outside the window to continue and play using a Guest account instead. - Note: Resets will automatically delete your existing Guest Account progress. - Once you are able to get the Gem you like, go to in-game options then link your game to your Facebook or Google account. Warning! connecting a new game to your account will override your previous game progress from that account. - Be careful and Good Luck!